The comedian-turned-actor Kapil Sharma is making a comeback on small screen after his much talked about show The Kapil Sharma Show went off air last year. Kapil Sharma hogged the headlines lately when he announced his new show Family Time With Kapil Sharma. The comedian-turned-actor is making a comeback on small screen after his much talked about show The Kapil Sharma Show went off air last year. Indeed, there have been speculations about who all will be joining Kapil Sharma's show especially as the female lead. 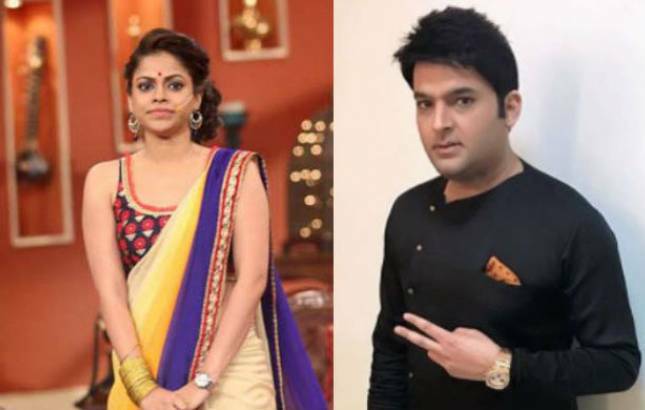 So far, television actress Sumona Chakravarti has been paired with Kapil Sharma in both his shows, be it Comedy Nights with Kapil or The Kapil Sharma Show. However, looks like the makers of Kapil's new show want a change in the pair. According to the media reports, Neha Pendse, from May I Come In Madam?, will be seen as a co-host on Kapil Sharm'a show. Talking about the same, Neha told TOI, "Yes, I've met the team of the show. In what capacity I will join remains to be seen, and that too if I go on-board. I am not in a position to talk about it yet." Interestingly, this will be the first time Neha will be collaborating with Sharma and she is quite ecstatic about it. "I have seen Kapil's work earlier and I am a huge fan of his. It would be a dream come true if it happens," she added. Apart from Neha, Family Time With Kapil Sharma is said to have Chandan Prabhakar and Kiku Sharda in the team. Now it will be interesting to see if Kapil Sharma's new show will be able to meet the audience's expectations.